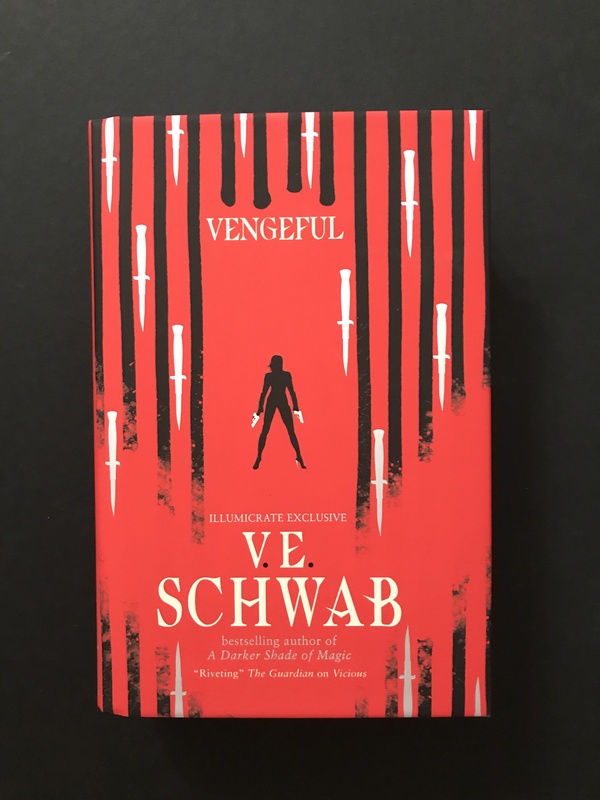 Of course, Vengeful is in there. Its a beautiful, exclusive cover, with Schwab’s autograph inside. There’s also a lovely note from her! 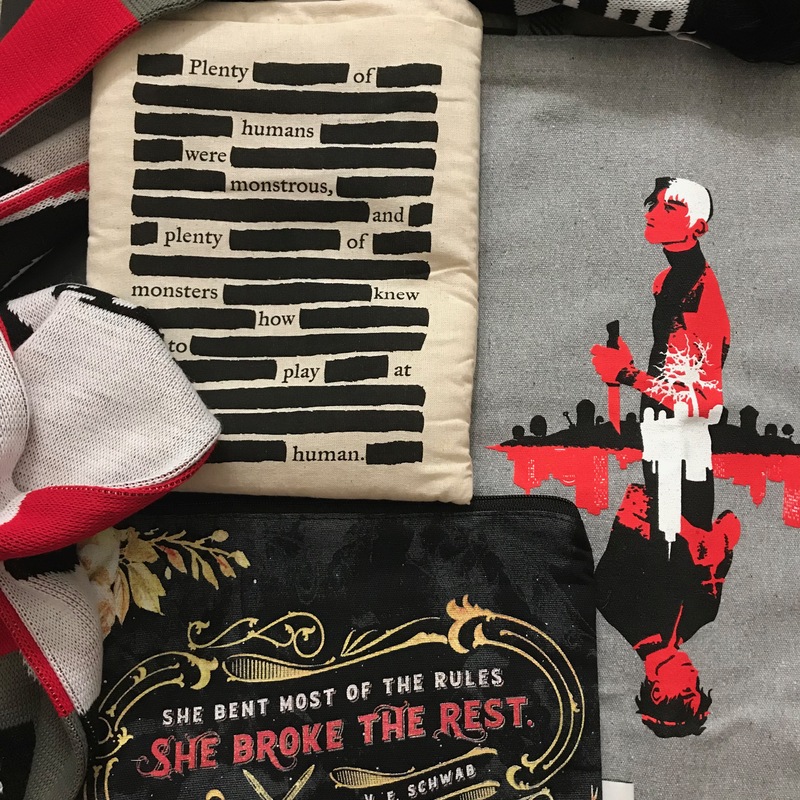 There are several fabric items; a scarf that features all four Londons (created by Fable & Black), a makeup pouch (by Stella Bookish Art), a gorgeous double sided tote bag (by Rowa Tree), and a lovely book sleeve that was designed by the folks at Illumicrate! I was so excited about literally all of these items, and I feel like I’ve gotten this many items in total from some subscription boxes! But this is just a fraction of what’s included, so let’s keep moving. Next up are some home goods. 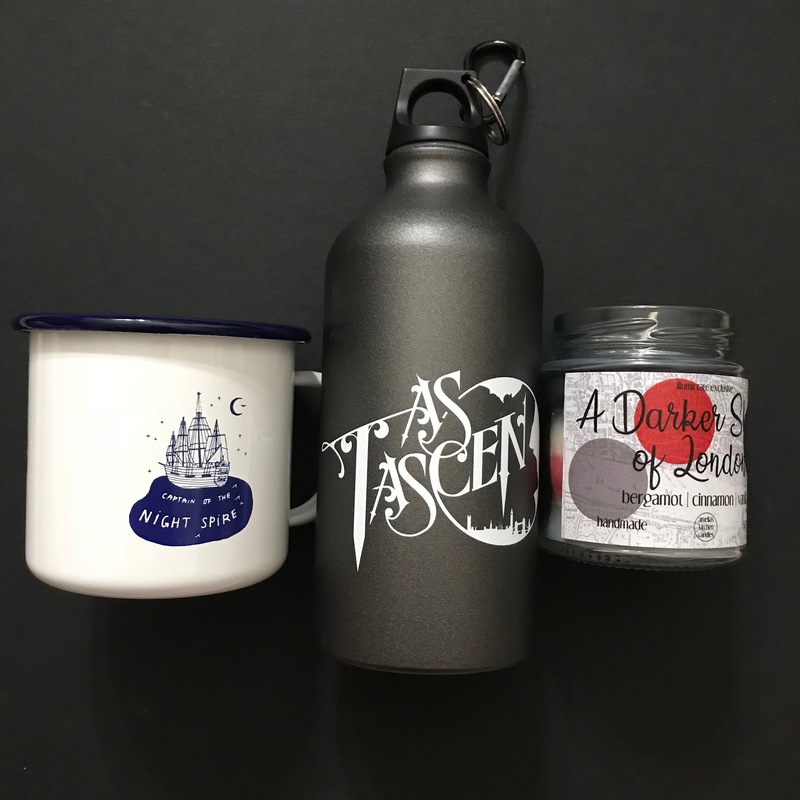 We’ve got a neat little camp-style mug (from Temporary Places), a water bottle with As Tascen (lettered by Crini), and a incredible little candle (from Amelia’s Kitchen Candles). I love it all, but I think that the candle is my favorite; it’s beautifully scented and the layers (for each of the four Londons) are clear. There was a pin and a keychain included, and they were both made by Fable & Black (just like the scarf). 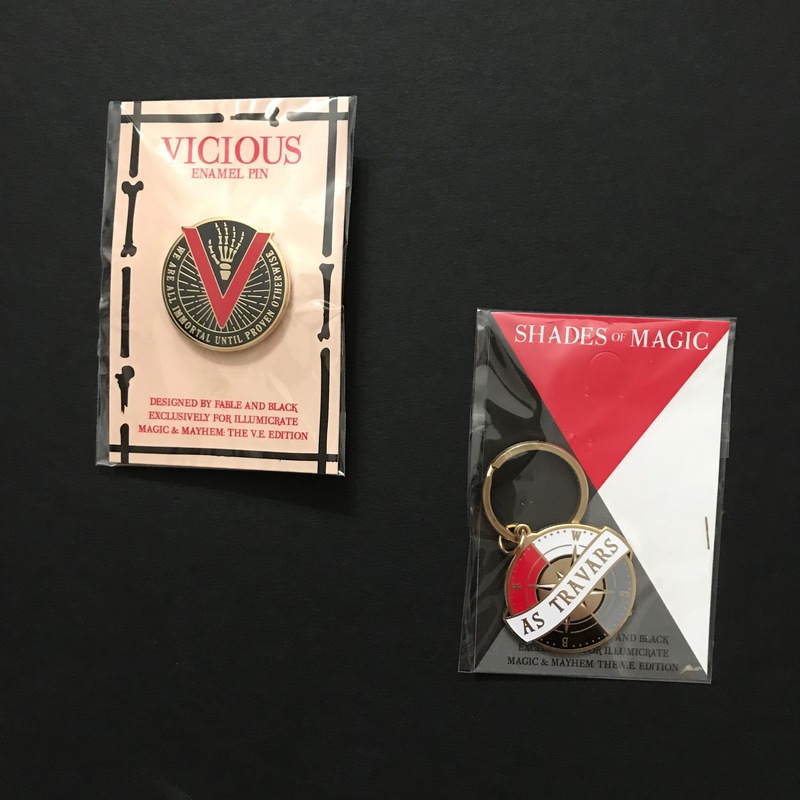 I have already added the keychain to my keys, and I proudly wear my Vicious pin as often as possible! Last, but definitely not least, is art. There was so much for paper goods in this crate! 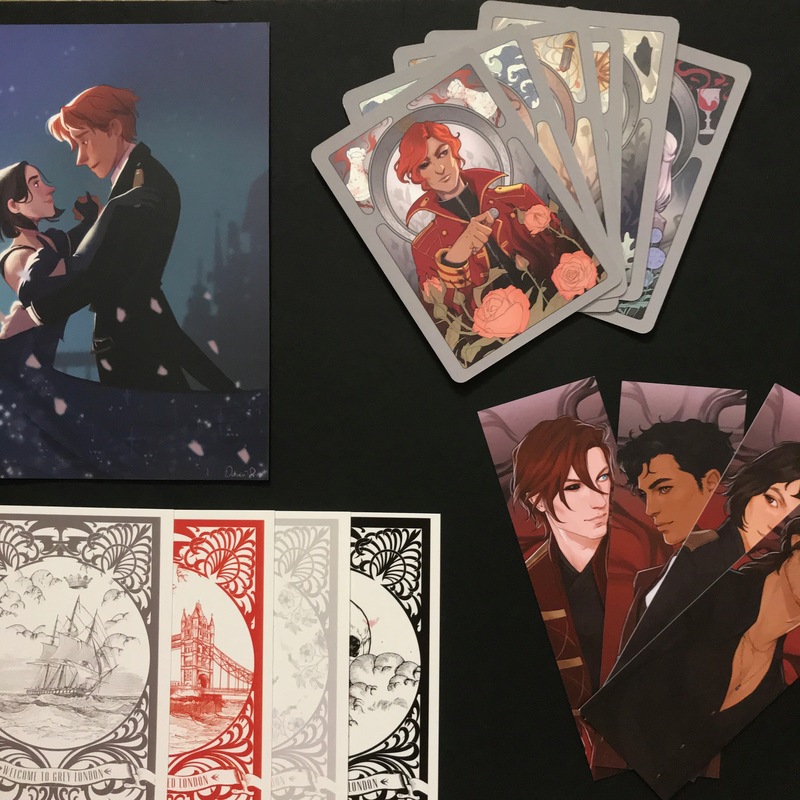 There was a print of Lila and Kell (by Victoria Ying), a set of London postcards (by Moledro Craft Co), six tarot style cards (by Lorena Lammer), and four bookmarks (by Merwild). I think this was the most endless feeling piece of the box; most of these items are multiple pieces, and it felt like there was just so much to see. Honestly, there is! Though I don’t know where I’ll be putting all of this, I know there will be places for everything. I am so blown away by the beauty of this box. 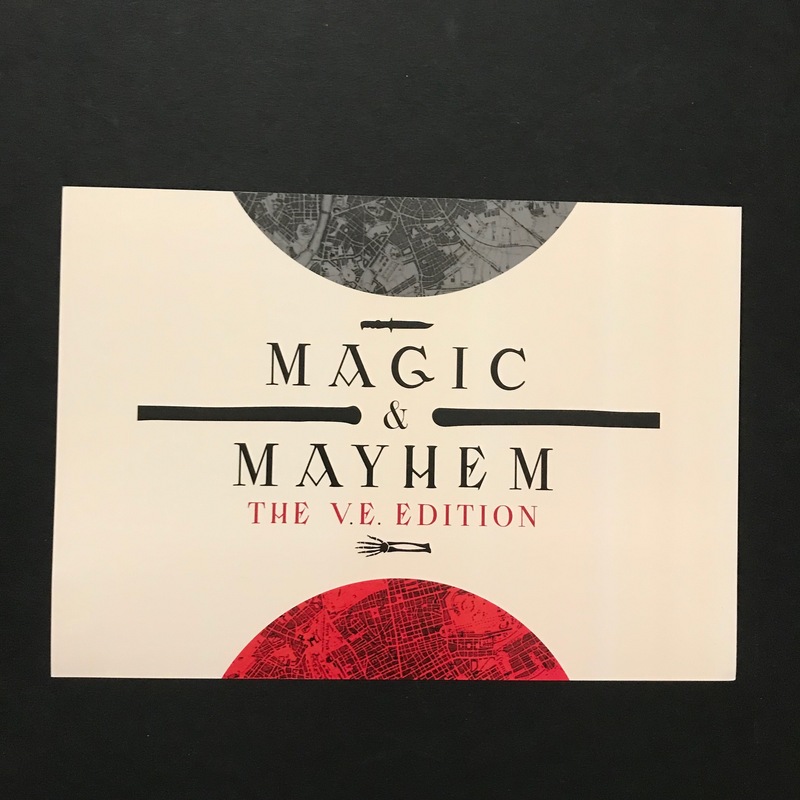 The book is beautiful, literally everything in it is gorgeous, and I can’t get over how much I love it all. It was a bit of an expense; the crate was 60 GBP, which is about $80. I do feel like I got my money’s worth. I really adore everything in there. If you ordered one as well, how did you feel about the items in it?